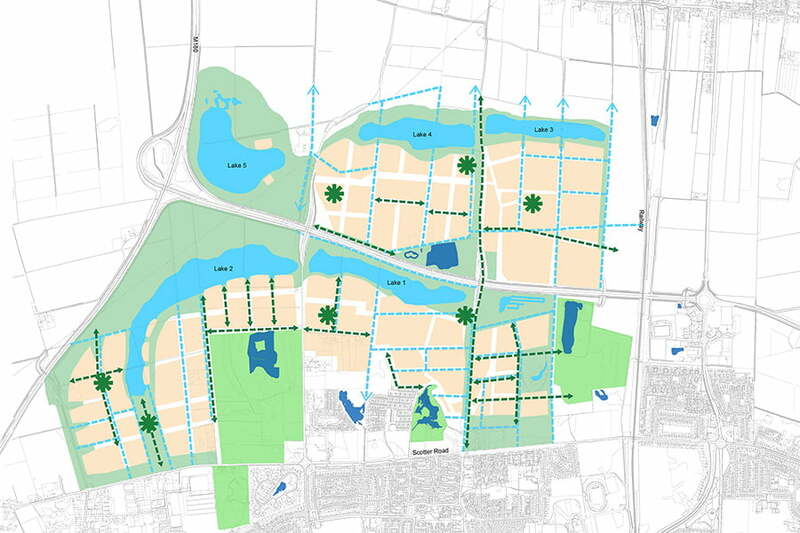 Lincolnshire Lakes is a proposed Garden City of 6 new villages and 5 lakes on existing agricultural land near Scunthorpe. 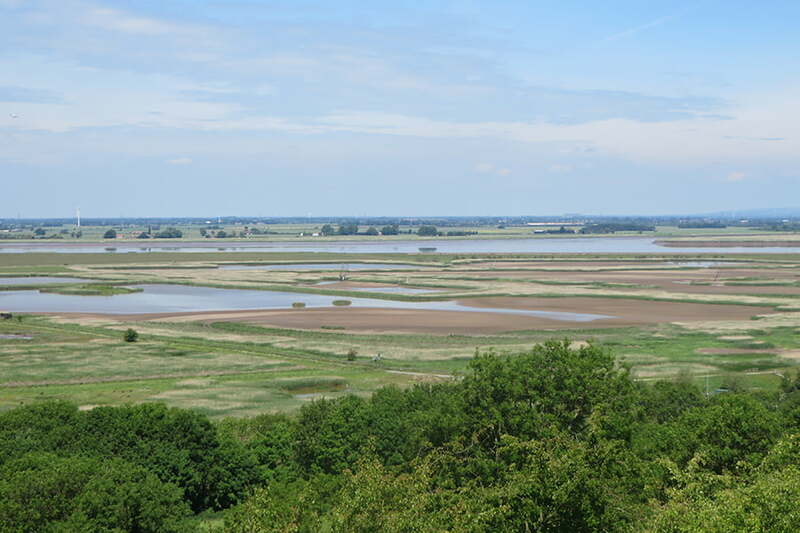 TEP was part of a team appointed by North Lincolnshire Council to provide advice in relation to landscape, green infrastructure, ecology and archaeology that will form part of a Strategic Design Guide (SDG). 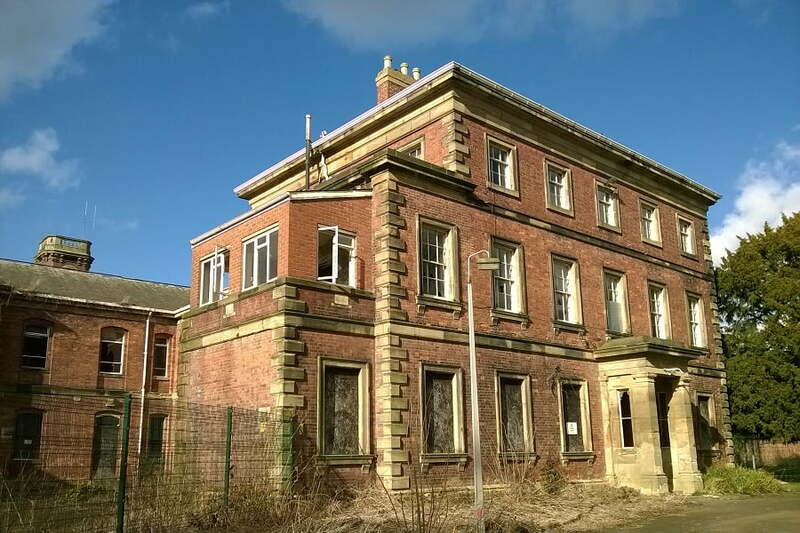 The SDG will help the local authority articulate their expectations and requirements for the ‘build out’ period over the next 10-15 years. 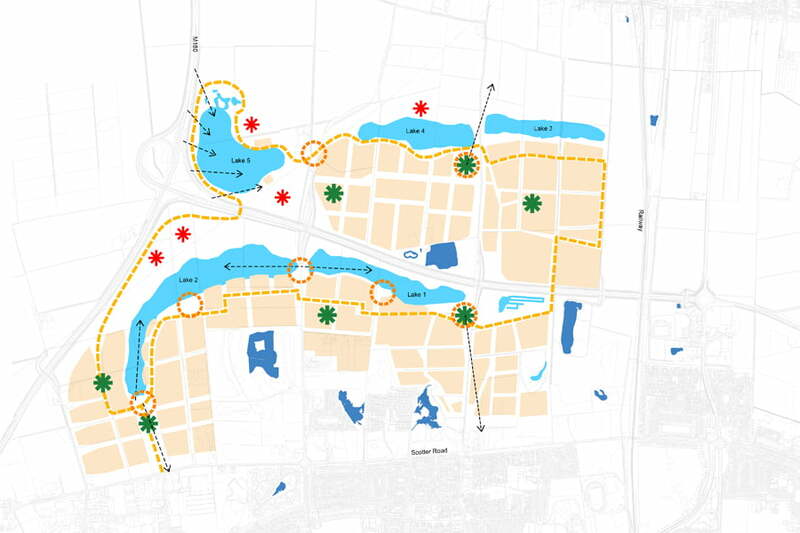 The proposals are extensive with over 6,000 residential properties across the new villages and set in an extensive park system (200 hectares) with a network of new lakes (covering over 77 hectares). 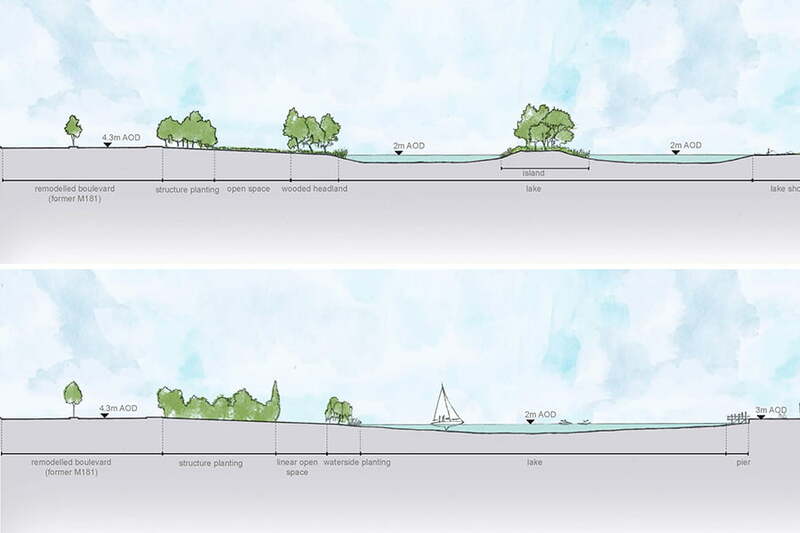 Working alongside masterplanners Tibbalds and engineers Campbell Reith, advising on urban design and engineering respectively, TEP provided the initial site analysis and the emerging framework plans for green and blue infrastructure. 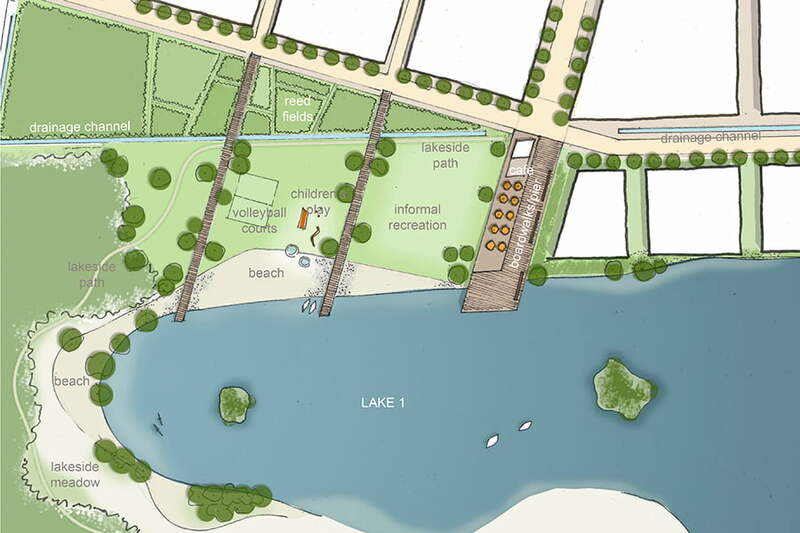 TEP led a number of capacity building workshops with the client regarding the design of the five lakes each with a specific role and function. 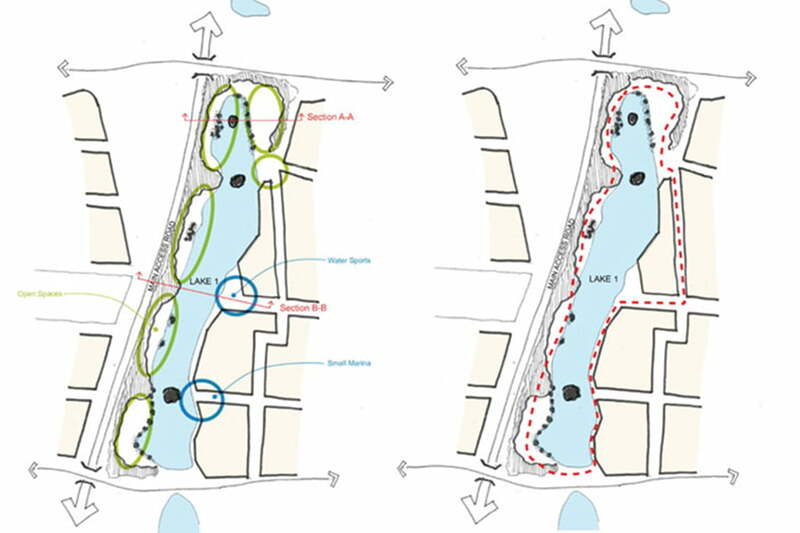 The Strategic Design Guide considers the arrangement of lakeside spaces and their overall setting and relationship to neighbouring villages. 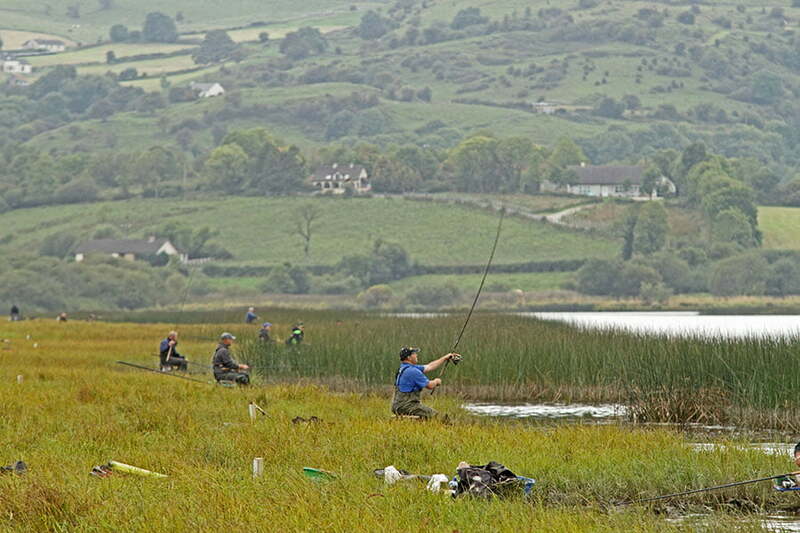 Three of the lakes have a sport and recreation function with a range of sports promoted from open water swimming, canoeing, sailing and triathlon. Running and cycling will be promoted on the lakeside. The remaining two lakes will have an ecology focus and will also provide water attenuation function for building and infrastructure. 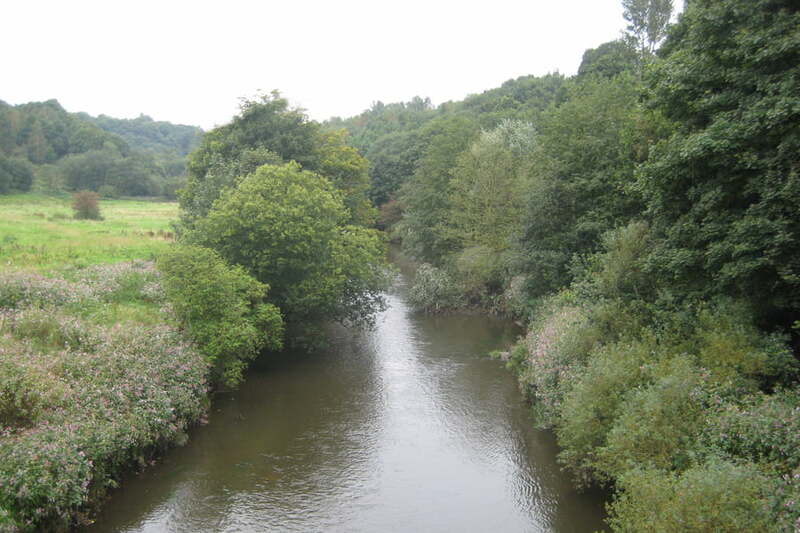 The lakes will provide a mosaic of habitats ranging from a connected network of water bodies, wet woodland, reed beds and scrapes. The Strategic Design Guide sets out an approach to making each village distinctive through a contemporary interpretation of the local Lincolnshire village vernacular. The network of existing drains are to be retained as part of the village designs and contribute to placemaking. The drains also form the backbone to the green infrastructure network with corridors for people and wildlife and also provide sustainable drainage throughout the development. 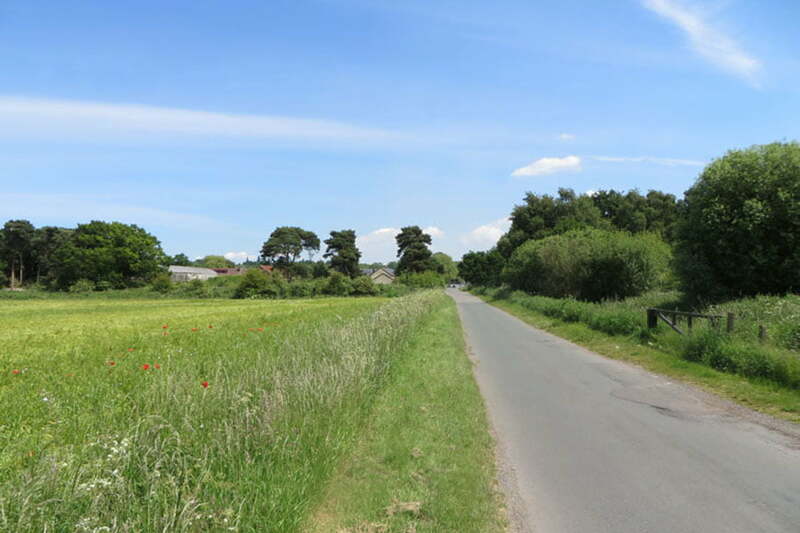 North Lincolnshire Council will take forward the plans in a proposal to Government to set up a Garden City, using the planning powers available under New Towns legislation.